Sometimes you’ve gotta expect the unexpected when you plan activities on a trip. 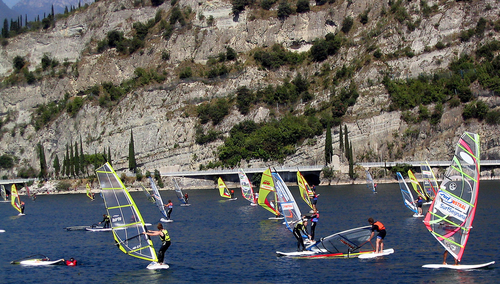 My husband is an ardent windsurfer and was really looking forward to engaging in his favorite sport at one of Europe’s primo surf and sail hotspots, Lake Garda in northern Italy. We loaded up the car with all the bulky, heavy, large (read excessive) gear that is essential for killer windsurfing and took off from Munich. The northern tip of Lake Garda is exceptionally popular for sailing sports due to its consistent, reliable thermal winds – winds that are categorized by their direction and intensity and even have names: the Ora, the Pelér, the Ponale, and the Balinot. My cousin, a frequent windsurfing trekker to Lake Garda, was in the driver’s seat for the eager drive through southern Germany, Austria, and across the precarious Brenner Pass that stretches through the Tyrolean Alps. But upon our arrival in Torbole sul Garda, the men were sadly disappointed in what was the most unseasonal, unexpected, stock-still weather anyone in Trento could remember. Not even a ripple on the lake. We never even unloaded the gear. All was not lost that weekend years ago, however, because – windsurfing or not – we still found ourselves in the majestic lake region of northern Lake Garda. 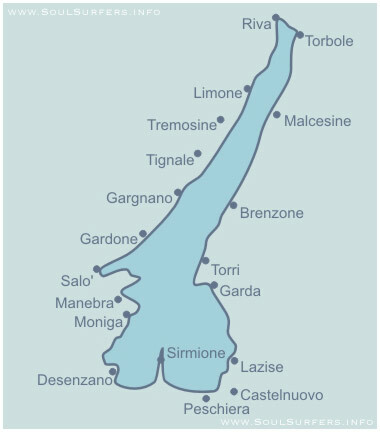 The largest lake in Italy, Garda is located just about 70 miles south of the point where Austria, Switzerland, and Italy meet on the map. The lake is a popular vacation spot for German, Dutch, Belgian, and other cold weather European travelers, who enjoy the destination for it’s beaches, sunshine, mild Mediterranean climate, and water sports. Different parts of the lake vary dramatically in both landscape and culture. 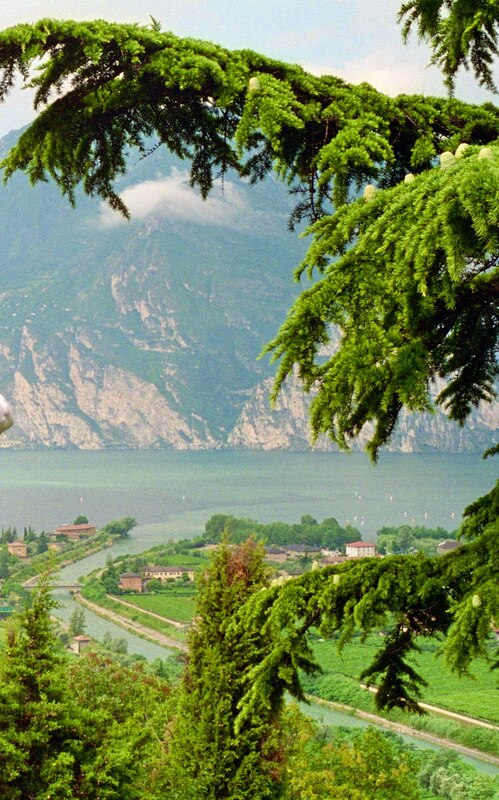 Upper Garda, in the province of Trento, lies at the foot of the Italian Alps, near the Dolomites, and the affluent towns of Torbole sur Garda and Riva del Garda are excellent family vacation destinations. Summers here are warm but rarely hot and the beaches are wide. Important to know though is that the beaches are shingle, not sand, so not only might the rocks be rough on your little ones' feet, but there's also no sand play. Pick up a couple of rattan beach mats (sold in the local shops) for your family to lay on on the beach though, and the stretch becomes more comfortable. Families can stroll along the 2 km long beach promenade in Torbole and enjoy the rich Italian atmosphere with its colored houses, bobbing fishing boats, and open-air cafés surrounded by sheer mountain cliffs. The town of Riva has a wonderful medieval fortress, La Rocca, right on the lake and bounded by a canal with a lifting bridge. Your kids will love it, and during the summer there are often concerts and other free activities. Also, from Riva del Garda there are various boat trips to other villages and towns. Ferries, hydrofoils, and motorized catamarans operate all year. As you drive further south along the shoreline of Lake Garda, you'll notice the landscape becoming drier and the scattering of pine trees growing fewer. 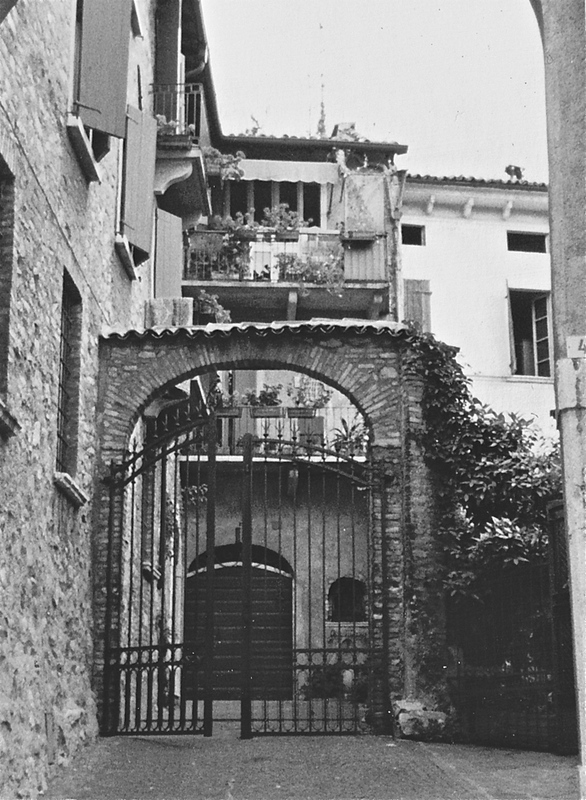 At the lower end of the lake, a popular spot is the town of Desenzano del Garda in Lombardy. Desenzano has three large beaches (again - rocky, not sandy) and many hotels, as well as a shopping center with a designer discount outlet. You'll have no trouble finding cuisine for your family as pizzerias and gelaterie are plentiful. Ferries around the lake are available near the main port in Desenzano, and pedal-boats can be rented near Desanzanino Beach. 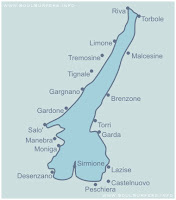 And, if the children are tired of nature and must be appeased, only a 30 minute drive from Desenzano is . . . wait for it . . . Gardaland, the third most popular theme park in Europe. Personally, I haven't been there, but from the website it looks like it has a large variety of rides and attractions. If you go there, let me know if it's worth it! Following you back. What a great concept for a blog. Highly jealous even if your husband couldn't windsurf today (ha ha). The pictures are beautiful as well! Now following on Twitter. Whenever I see Italian lakes featured in movies, they look so romatically sophisticated... or maybe that's just Italy itself. I am a new follower via GFC and Twitter. Hope you can stop by my blog and check it out and follow back. Nice post! I really love the small towns around Lake Garda, Solferino is one of my favourite. Accommodations in that area relatively cheap http://www.agriturismomantova.it/eng/aziende.asp that's a good website if youre looking for cheap accommodation (agriturismo/farmhouses/B&B).